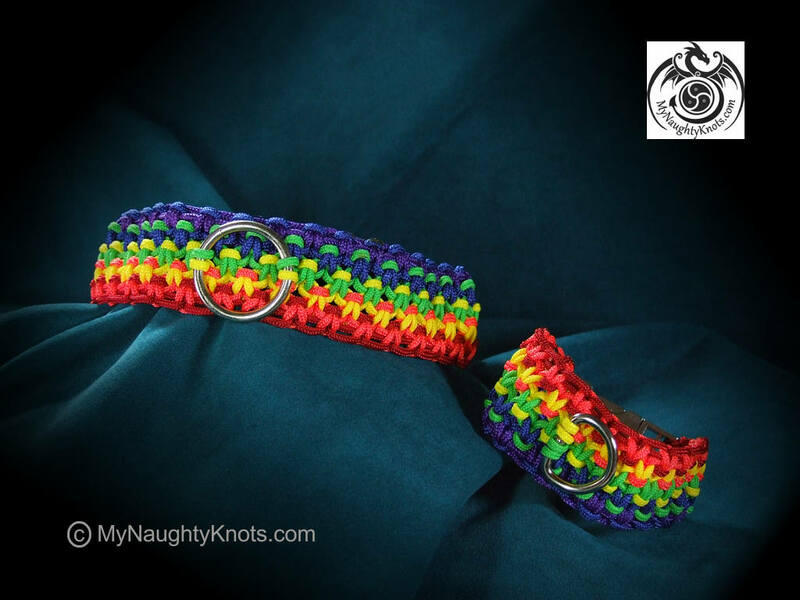 *'O'ver the Rainbow collar features front 'o' ring and metal snap clasp on the back. * Also included in this lovely set is a matching cuff. *Collar fits neck up to 15 inches and cuff fits wrist up to 8 inches. *A beautiful gift set or add to your Pride wardrobe.